Otzar HaHochma is proud to announce the launch of 'Otzar Online'! Otzar HaHochma boasts a user-friendly and incredibly fast interface that fully leverages the most innovative technology available. The 'Otzar HaHochma site' enables using Otzar HaHochma without downloading software to your PC. Users with Macintosh computers will now be able to access Otzar HaHochma with their browser. The new site now allows for concurrent user licensing for institutions. Students and faculty will be able to access Otzar HaHochma through your institution's IP range using EZ-Proxy. Visit Otzar Online as a guest: click here. You will be able to view first 40 pages of each book. Tannaitic literature including Mishnah, Tosefta, Midrash Halakhah and Aggadah as well as their Commentaries. Talmudic literature from both Babylonian and Jerusalem Talmuds and their Commentaries, as well as Geonic works. Halakhah and Customs from the Rishonim and Acharonim, as well as Responsa Literature. Jewish Philosophy from medieval times to the modern period. Kabbalah and Hasidism including liturgical writings, sermons. Modern scholarship in Jewish history, Hebrew linguistics, Jewish psychology, family studies, information science, etc. Torah compilations, memorial volumes, prayer books, and much more. User license to Otzar Online for institutions include the entire collection of 100,000 Jewish books or the smaller edition (school edition). Otzar HaHochma is continuously expanding its library. Our vision is to encompass the maximum number of Judaic books available. 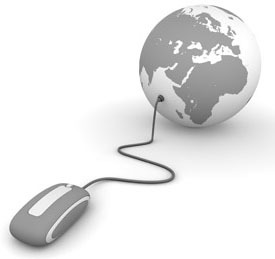 Furthermore, our IT professionals are constantly refining the program and its search engine. The online versions are updated automatically. Otzar Online can be used by both Windows and Macintosh users with an internet browser. Otzar Online is best experienced with a fast internet connection and modern browser with a minimum screen resolution of 1024 by 768 pixels and 32-bit color. All of these browsers have free updates available online. Users with a dial-up connection may find that loading times for books are very slow. Any speed DSL or cable connection is sufficient for optimum performance. The use of Otzar HaHochma's Online versions are permitted according to the user license. In order to view the entire user license, Click here. There are several online versions available. To verify that the option chosen answers to the institution's needs and for inquiries regarding specific institutional needs, contact Ruth Shimon, ruth@otzar.biz. The Otzar HaHochma concurrent user license is based on the nr. of simultaneous users accessing Otzar HaHochma. For example in a 5 user concurrent user license after 5 users are logged into the Otzar, the sixth user is prohibited. Whenever one of the users logs out, the next can login. The new 'Otzar HaHochma site' allows for students and faculty access from home through your institution's IP range using EZ-Proxy. Appropriate for large institutions: universities, Jewish research institutes and departments, colleges, and institutions for higher learning. The new Otzar HaHochma School version comprises 13,000 Judaic books including: basic works in all Torah and Judaic fields, from Chazal to modern day sources, commentaries to the Bible, Mishnah and Talmud, works in Jewish philosophy and mussar; in addition to books on Jewish history and Jewish communities, Hebrew language and grammar, encyclopedia's etc. The version caters to the needs of teachers and students. Otzar HaHochma serves as a useful aid in preparing lessons, source sheets; and projects and assignments of students, in all Judaic fields. The school version allows access to all school computers with a local network. The fee is on an annual basis. *The prices are in U.S. Dollar. When purchased in Israel, the fee includes taxes (V.A.T). Please contact Erez Sela, Sales for institutions, ++972-2-5866078 ext 0, es@otzar.biz, Sun-Thur between 9:00-14:00 IST. Customers from locations abroad should email us with their contact information and we will be happy to provide you with assistance.